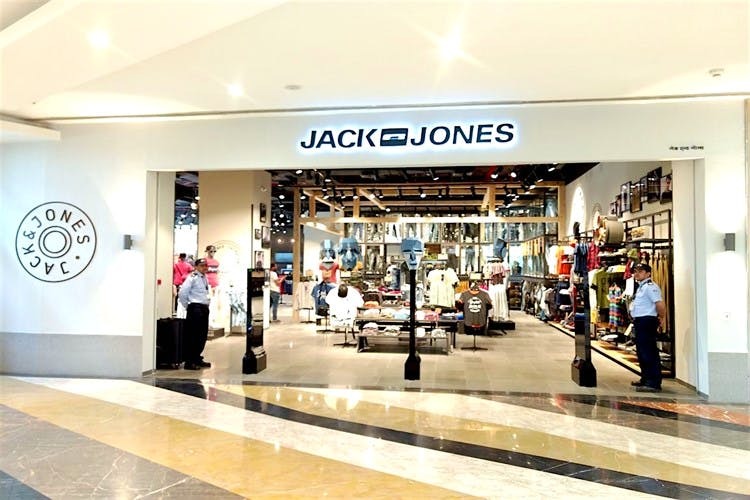 Scandinavian fashion label, Jack & Jones opens Asia’s largest outlet in Phoenix Marketcity, Viman Nagar and here’s everything you should know before you visit. If you’re a J&J fan, you would probably never leave the store. Spread across 6,000-square-feet, the outlet boasts of luxurious decor coupled with four distinguished display sections featuring the brand’s latest Spring/Summer 2018 collection. For instance, one corner is dedicated to ‘Core’, which is J&J’s line of urban street and casual wear for men. Another section features Jack & Jones Premium – a collection of clean silhouettes and luxe casuals with minimalist patterns. We particularly loved their Vintage collection featuring classy sweat blazers, long-sleeved shirts in subtle tones of grey, tan and black, cargo shorts, graphic tees and more. The best thing about the outlet is the massive denim bar that has the widest selection of jeans by the brand. From skinny to tapered fit and comfy summer shorts, the space has everything a man needs to get his look on point. Barring clothes, there are separate sections for shoes, sunglasses, bags, ties & bowties, beanies and more. Happy shopping, guys! Men, head here and revamp your wardrobe with the latest trends.